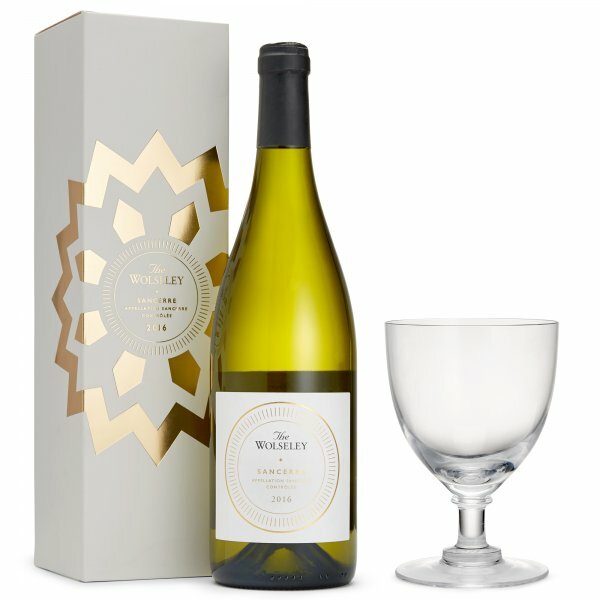 From The Wolseley Collection, a beautifully fine and crisp white wine with aromas of white flowers and citrus fruits, from one of the oldest wine-growing families in Sancerre. Presented in a gift box and accompanied by six crystal wine glasses made by hand using traditional glass blowing techniques, each delicately engraved with The Wolseley monogram on the base. Dimensions: Base diameter 8.3cm, Height 13.8cm. Capacity 325ml.